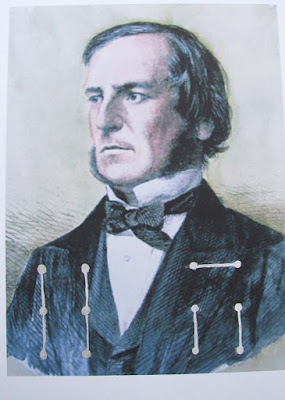 George Boole was an English mathematician who invented Boolean algebra. 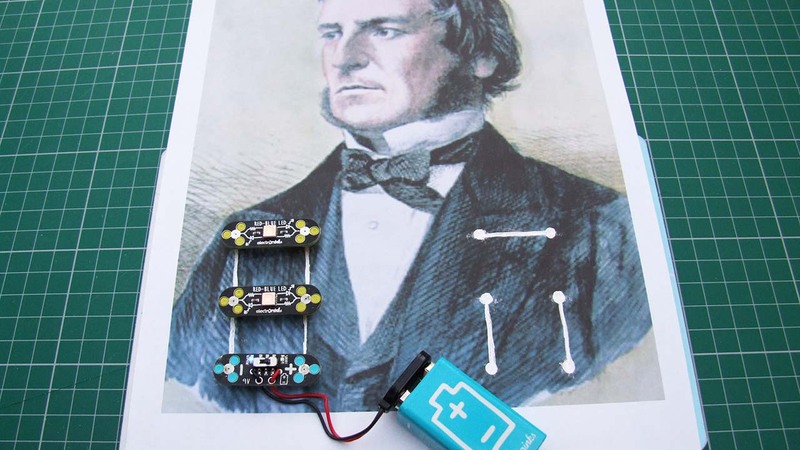 Boole's work was a critical input to the modern age of technology and Boolean logic is very important today in coding and electronics. We've created a George Boole project as part of our series of interactive pictures of technology influencers using Circuit Scribe modular electronics components and electronic ink. See our Circuit Scribe review for more info on the range. George Boole came up with Boolean logic which allows you to construct statements that are either true or false and use AND and OR operators. 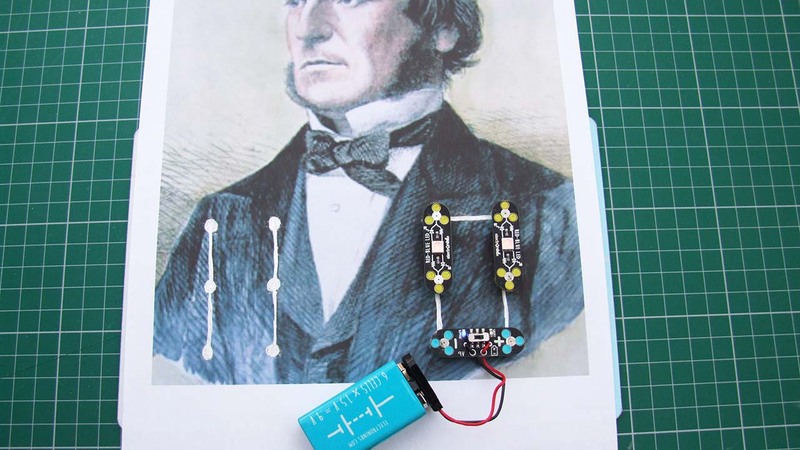 We found a picture of George Boole wearing a jacket and scaled it up as the basis for our project. The electrical circuit equivalents of AND and OR are series and parallel circuits. So we created a circuit to allow George Boole to light up his jacket depending on his mood. electronic ink pen and magnet board. 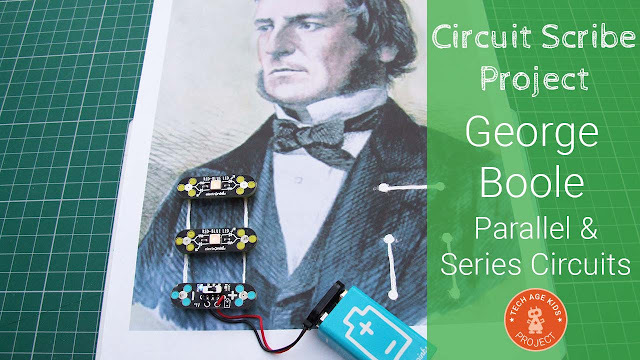 On the left of the picture George has a parallel circuit, he can place an LED in the top position, OR in the bottom position (or both) and it will light up. On the right of the picture George has a series circuit. This time he must place an LED in the left position AND the right position to get the LEDs to light up. Here's a video of the circuit in action.